Hanoi (VNA) – The Purchasing Managers’ Index (PMI) of Vietnam dipped to 54.1 in April, a slight decline from March’s 22-month high of 54.6, reported Nikkei on May 3. 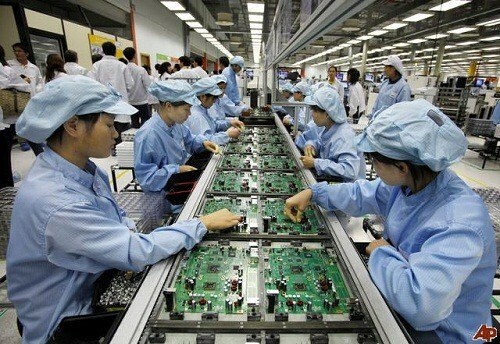 A significant increase of new orders, especially from abroad, helped improve output, employment and purchasing activities in Vietnam’s manufacturing sector during April. Meanwhile, there were signs of downward inflationary pressures, with input costs and output prices increasing at the slowest paces in six months. The growth rate of new export orders has also quickened for three successive months. The survey said that the expansion in both new business and new export orders was due to rising demand from customers. The number of new orders has increased continuously since December 2015, with the growth in workload leading manufacturers to increase production in April. The rise in production allowed firms to complete outstanding business despite the rise in new orders, with work backlogs falling for the first time since the end of 2016. Stocks of finished goods also decreased. Employment also increased for the 13th successive month as firms responded to new order growth. The rate of job creation was slower, but remained solid. The rise in new jobs continued to impact the purchasing activity of Vietnam’s manufacturers. The swift expansion contributed to a 10th successive monthly rise in stocks of purchases. Inventories in anticipation of further new order growth were increased as well. Higher demand for inputs encouraged suppliers to increase their prices during April, leading to another monthly rise in input costs. Prices of some goods from China also rose. However, the rate of cost inflation eased to the weakest point since last October. Output prices also rose at the slowest pace in six months as charges increased slightly. Manufacturers reported that delivery duration lengthened for the third successive month, partly due to raw material shortages. In addition, the latest deterioration in vendor performance was the most marked since January 2016.